After about 18 hours of travel time, a nice to shower and a 4 hour nap Amos and I were ready to start the day. It was about 10am and we hopped in a cab and were off to meet Pablo and Vicky Sigwald (big time international paper makers). Their space was the most beautiful shop/living combo I had ever encountered. It used to be horse stables and they turned it into this magical little oasis of beauty. We talked and learned all about their paper world then they made us a tasty lunch as we chatted more. 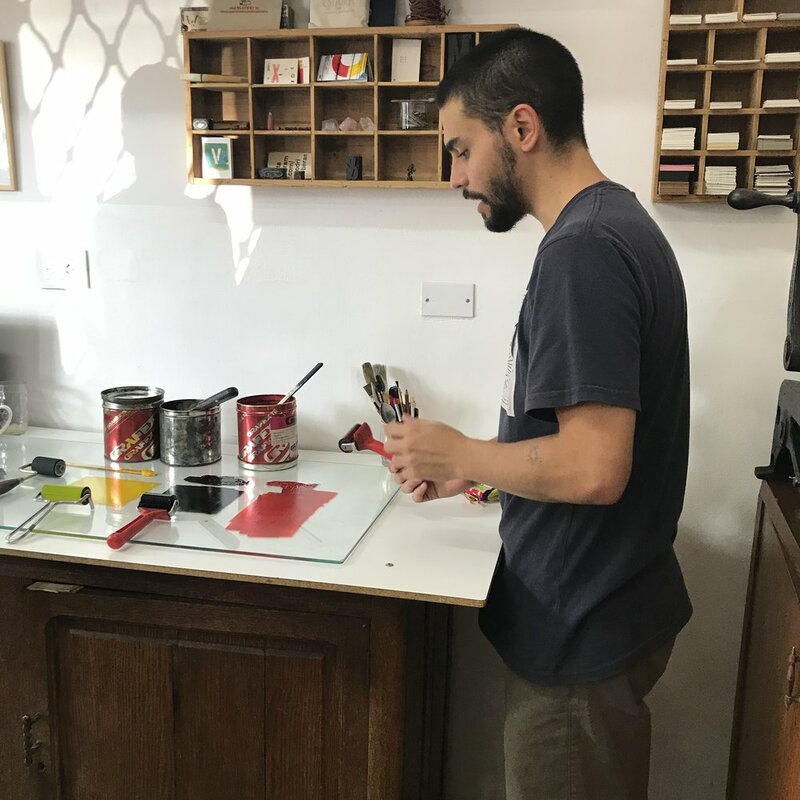 We then were off to visit Rodrigo (Talleres de Artes Graficas) and his fiancé Valeria at their tiny immaculate printshop. Rodrigo was quite but kind, with a constant smile on his face. He did not speak much English but it was clear that he was a passionate designer and had a great love for letterpress. The work this guy produced was quite innovative but so very beautiful. We drank loads of espresso and Amos and I set type and made prints. The six of us talked about politics, political correctness and all of the rap that come with it and I felt like I had known these people all my life. 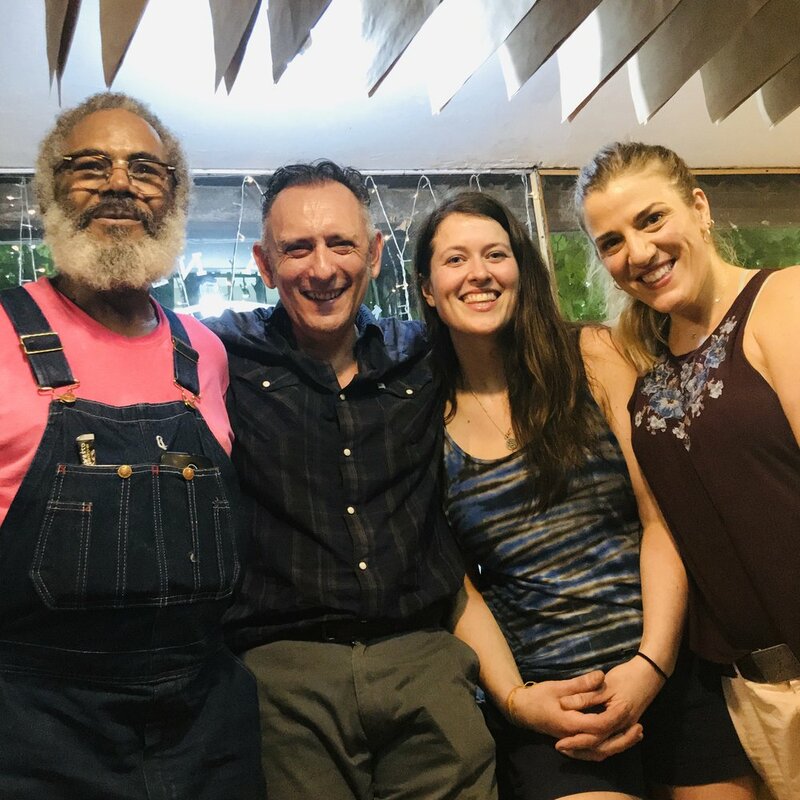 After all of that we met up with our pal Kim Ransdell made our way over to Prensa la Libertad and met our friend Federico, geez, this young guy has such a passion for changing the world. Being in his space and seeing his work and the way that he gets his work out to the people was very humbling. He is going to make a big difference in his community, I can see it already. started early again and we got picked up by our friend Javier Alba who was going to bring us over to Afiches Boqueron, a production printship on the other side of town. The drive seemed to go on forever then suddenly we were at a door, walked down a long narrow walkway and then into a dirty ol space that was incredible! 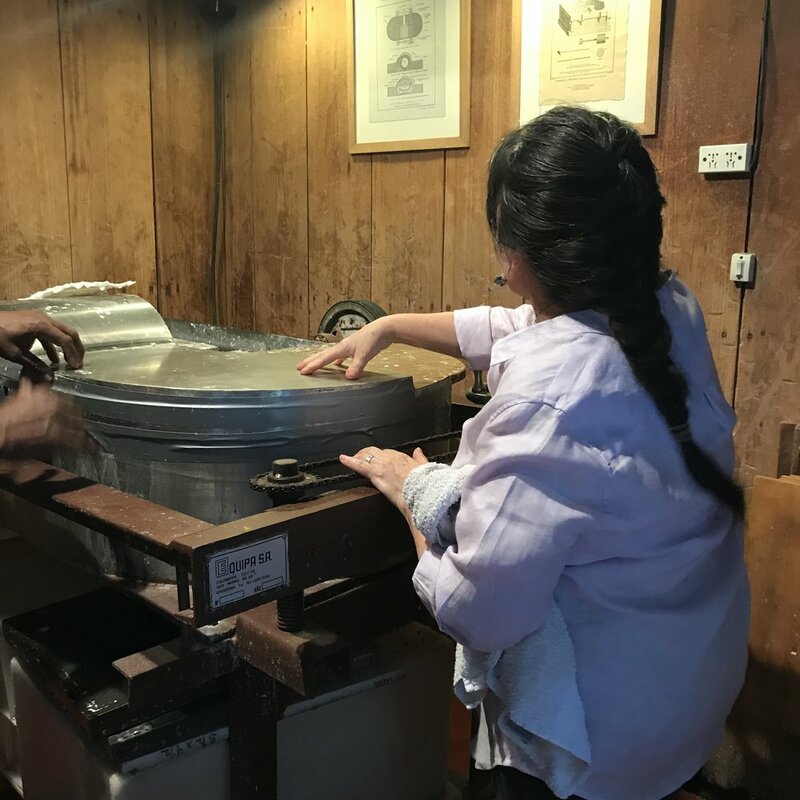 The presses in this shop were the biggest I have ever seen in my life! 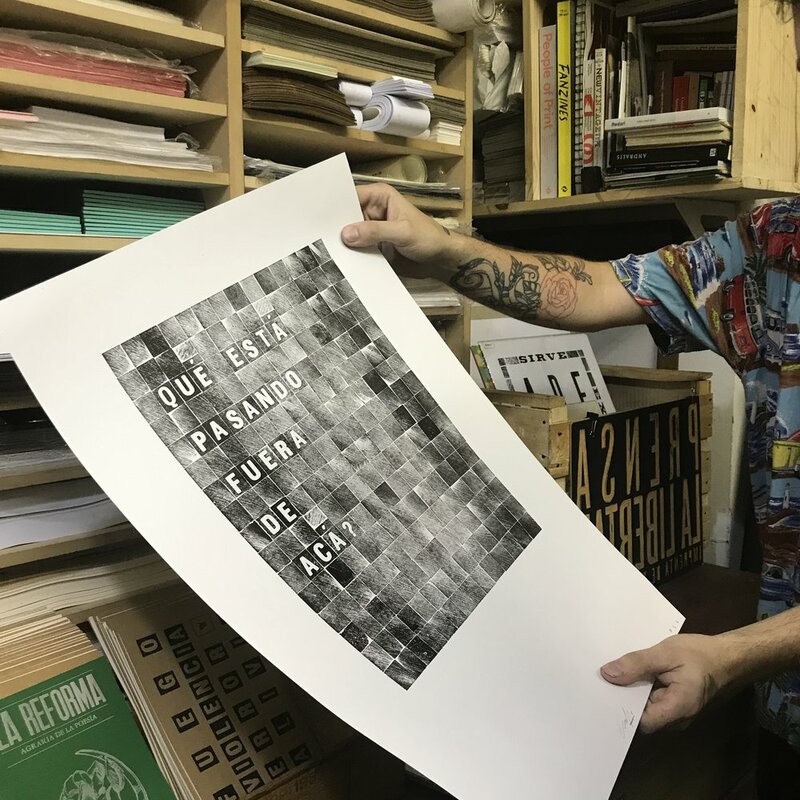 The guy running them, Cristian, was a third generation printer with an incredible talent for making perfect rainbow rolls on giant parent sheets of paper then taking nothing but type, friggin huge type, and making gorgeous posters to be plastered up around the city! 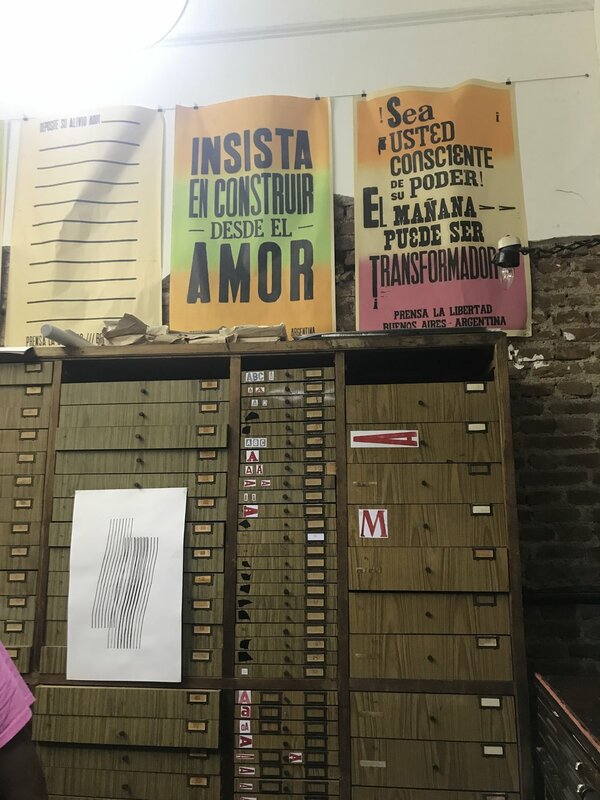 Javier took us to La Plata where we went to visit his woodtype filled printshop called Magia Negra. We spent all afternoon talking and laughing and trying to understand each other. Of course we had to print there as well, so we set “Ah Clara” which was something that these folks are constantly saying. I am bringing it home by the by. We shared and traded prints and were deeply inspired by each other not to mention that we connected the way that printers often do. 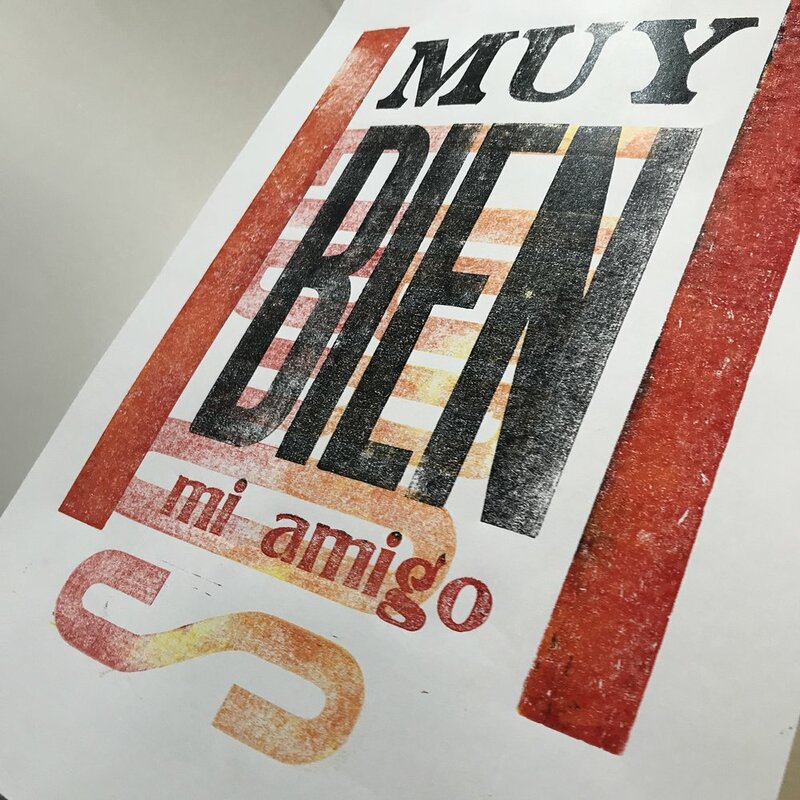 I have been working to figure out why this sort of thing fills my soul and I’ll be god damned if it is not this whole connecting, intentionally with people that love life and letterpress, good coffee, some Maté, good music, dogs, beer, and being a good human.